Donald Trump is expected to meet with many of the biggest names in tech this week, including top execs from Amazon (AMZN), Facebook (FB), Google (GOOGL) and Apple (AAPL). But notably absent from the list is the service Trump can't seem to live without: Twitter (TWTR). 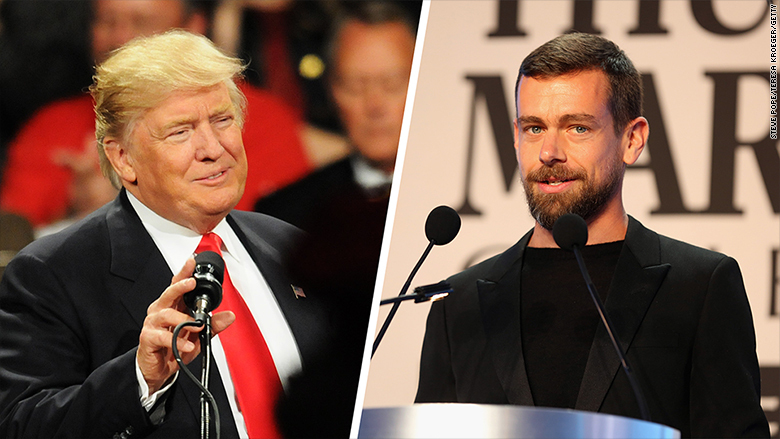 Jack Dorsey, Twitter's CEO and cofounder, initially told Re/code he was not invited to Trump's tech summit in New York. Dorsey then said he was unsure about being invited. According to a source, Twitter was indeed left off the list. Nu Wexler, a spokesman for Twitter, said the company had nothing to share beyond Dorsey's comments. The snub stands out, considering the role Twitter played in Trump's campaign and in his presidential transition efforts so far. While other politicians share carefully scripted messages on the platform, Trump uses Twitter at all hours to test campaign lines, attack media reports, criticize individual businesses and retweet supportive posts from questionable accounts. "Frankly, it's a modern day form of communication," Trump said in an interview last week when pressed about whether he should show more restraint on Twitter as president. "Between Facebook and Twitter, I have ... more than 40 million people [following me]." Yet, only one of those services is expected to attend the tech industry meeting with Trump, at least as of now. To be sure, Twitter is a much smaller business -- both by market value and active users -- than Facebook and other companies on the invite list. Twitter has also been panned as a "horribly mismanaged company" by Peter Thiel, the billionaire investor who's part of Trump's transition team and helped organize the meeting. Meanwhile, Thiel just happens to be the longest serving member of Facebook's board other than Mark Zuckerberg. The meeting on Wednesday may give tech leaders an opportunity to voice their key concerns and priorities with the incoming administration after Trump clashed with many of their companies. Trump threatened to boycott Apple, go after Amazon for antitrust violations and called out Zuckerberg for his stance on immigration. Silicon Valley returned the favor by calling Trump a "disaster for innovation" and designing a card game to make fun of him. But Trump never really attacked Twitter -- or vice versa. Dorsey admitted at a tech conference this month that he feels "complicated" about Trump's use of the platform, but chose his words carefully. 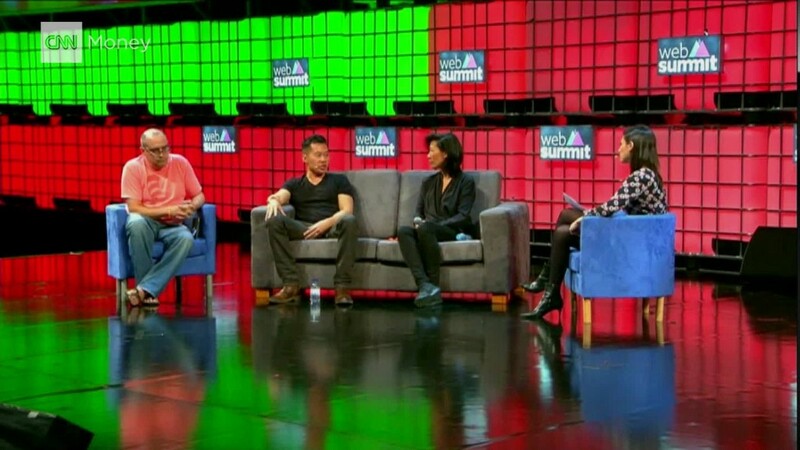 "I think it's an important time for the company and the service," Dorsey said. "Having the president-elect on our service using it as a direct line of communication allows everyone to see what's on his mind, in the moment. I think that's interesting." Unlike many tech companies, Twitter's stock actually went up in the days after Trump's victory, as investors recognized its value to the next president. All of that might make it easier for Dorsey to attend the meeting if invited, but like execs at other tech companies, he might face backlash for the optics of cozying up to Trump. Chris Sacca, an early Twitter investor, tweeted on Sunday that "tech leaders who go to Trump Tower will get played and also lose the respect of employees." Some employees have already been wrestling with the role their service played in helping Trump. Just as Trump clinched the election, Ben Matasar, a former software engineer at Twitter, asked: "For my twitter alum friends: What did we build?"